A mother from Yorkshire has spent 18 months fighting for access to her daughter, who was taken abroad by her ex. Custody battles are always stressful and dealing with foreign courts and lawyers adds extra complications, expense and delays. But as more people take advantage of Europe’s freedom of movement stories like this are becoming more common. “He didn’t tell me what he was planning,” says Tracy. “He said he was taking her for an overnight stay at his temporary accommodation in Bradford. Looking back, I remember her saying that she didn’t want to go, but I didn’t think anything was wrong. I wanted him to have this contact. Something was wrong, though, as Tracy soon found out. Tracy had met her Czech-born partner while he was working in Bradford in 2005 and had given birth to their daughter three years later. When the partner was made redundant the couple decided to move to his village in the Czech Republic where they lived with his parents. But at some point their relationship broke down. In 2016, with Tracy’s mother’s health deteriorating, they moved back to the UK with their daughter, who was then seven. Even though they were not together as a couple, they could both love and care for her. But when they got back to Bradford, Tracy’s ex had a disagreement with her mother, and he was asked to leave. Her former partner, who did not want to be named, says that he had never intended the 2016 move back to the UK to be permanent – he only agreed because Tracy’s mother was ill. When he realised that he was not welcome at the family home he started considering his options. “I was thinking what to do,” he says. “I wasn’t even allowed to be in the house for my daughter’s birthday. I walked away and I felt miserable. I was crying like a small kid. That was the breaking point when I said ‘No’. Maybe it could have been different if they had proceeded more carefully, Tracy and her mother, if they were not so heavy-handed. The story of how Tracy’s former partner took their daughter out of the UK without her mother’s agreement features in The Untold: Child of Mine. Under the Hague Convention, which governs cases of child custody waged across international borders, a child’s base is considered to be the country in which he or she has lived longest. In Tracy’s daughter’s case, this was the Czech Republic, where she had lived for seven years. This made it hard for Tracy to make a legal argument for her daughter to be returned to Bradford. “Because of the way the relationship ended I didn’t feel able to go back there,” says Tracy. “It was destroying me to be apart from her and be told that this could happen legally – it was unbelievable. 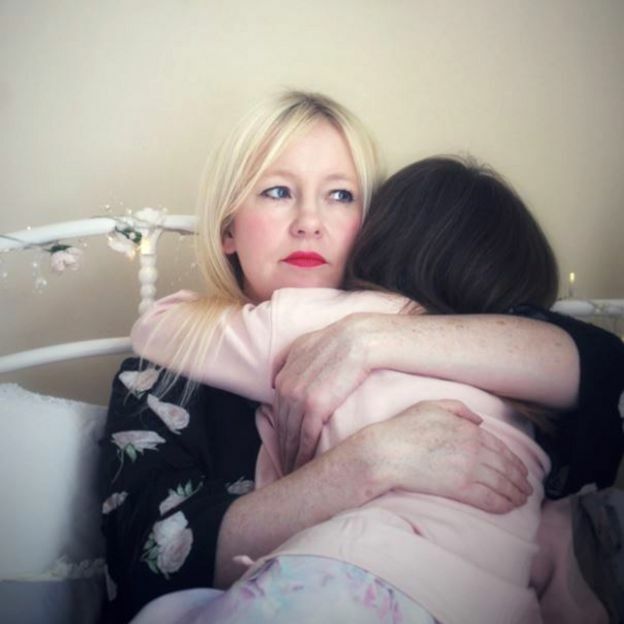 I don’t think the Hague Convention should be used to punish a mother.” She feels the fact that she was her daughter’s main carer should count for more. It took an agonising 18 months for Tracy to get holiday visiting rights approved. And when her daughter finally arrived at Leeds Bradford airport on 6 July this year it was a huge relief. “It was a dreadful time but being with her now makes me realise how little the bond has changed. We’ve spent almost a month together and it’s been beyond anything I imagined,” she says. “It was amazing when we saw each other again. I picked her up and twirled her round,” says Tracy. 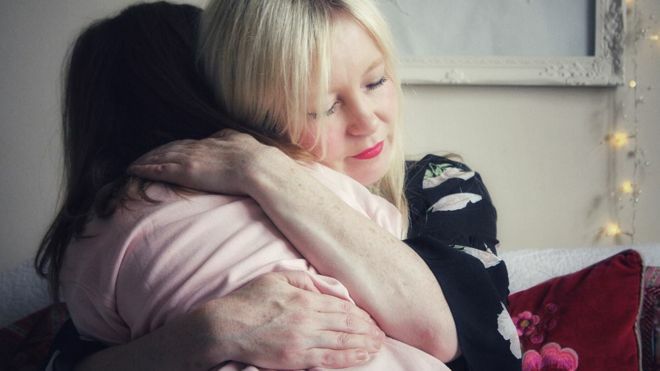 Tracy had moved into a new home in Bradford during the 18 months she spent apart from her daughter – but as soon as the little girl stepped foot in the house she said that it smelt familiar. But the time is fast approaching when Tracy’s daughter must leave again, and she won’t be back before Christmas. The father says it has not been an easy situation for any of them. “Look, it was a hard time – I didn’t abduct my daughter, I just took her back home,” he says. But he also believes that his daughter wasn’t badly affected. The long separation from her mother will have had some effect on the child, says Anne Marie Hutchinson, a UK-based expert on The Hague Convention. “The longer a situation goes on where a child is estranged or isolated from its other parent, the more difficult it will be to re-establish the relationship between the parent and the child. So delay in this situation is going to damage the child,” she says. She adds that removing a child without the other parent’s knowledge is “always reprehensible and damaging” whatever the rights and wrongs of the legal position. Tracy also says her daughter suffered in the immediate aftermath of the separation. “I now know that her little body shook with fear the night her father took her without my knowledge or consent,” says Tracy. “I know that he promised her she would see her beloved dog before he put her in a taxi to the airport. She was so sad when she realised that he’d lied and that I wasn’t coming back to the Czech Republic. The complex court proceedings that Tracy had to undergo were made much more arduous by language barriers and other differences between the two legal systems. A spokeswoman for the courts in the Czech Republic explained some of the problems that arose. “It is a case with a foreign element. So, the verdict is issued. Then the court has a 30-day period to issue it in writing. And since it concerns a mother who lives abroad and does not speak Czech it was necessary that an interpreter translates the verdict to English,” she said. As the long wait continued, Tracy involved her local MP, Philip Davies. He contacted the Foreign Office, which assists in around 500 new child custody and international parental child abduction cases a year. Because jurisdiction in this case fell to the Czech Republic, officials provided Tracy with information on local lawyers but she could not afford to hire one. Anne Marie Hutchinson says that in a case like Tracy’s, where the cost of legal representation is prohibitive, an already complicated system can appear particularly daunting. She says she is dealing with more and more cases involving a parent from Central or Eastern Europe and that Brexit is imposing an additional layer of uncertainty when relationships break down. “I have had judges decide that a child is best left in an Eastern European country rather than being returned to the UK because they fear that under Brexit a parent there will not get visitation access. It is rare at the moment, but it is happening,” says Hutchinson. Although she’s a qualified teacher, Tracy has been feeling too stressed to return to the classroom, and has been working as a cleaner instead. But being together with her daughter this summer has made her ready to take on more responsibility. In September she will run poetry workshops and start supply teaching again. “I feel more capable now her visiting looks more likely and I’m determined to finance the flights for her. Being with her has given me strength,” she says. For now, Tracy is making the most of the time they have together. “She is enjoying her time in England and has loved meeting my friends and seeing one special friend that she bonded with last time she was here. She describes this girl as her ‘best child friend’ and me as her ‘best grown-up friend’. 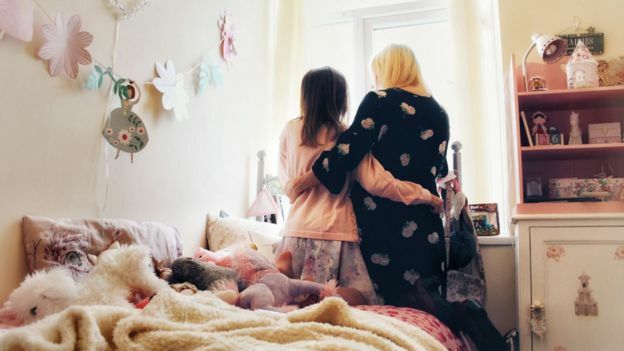 “We have gone shopping together, watched TV together, walked on stepping stones, bought shoes and a new duvet cover, just ordinary things so many parents might take for granted. Her favourite place was an ice-cream parlour in a barn. Those moments of being a child again are precious because she’s had to grow up far too fast. 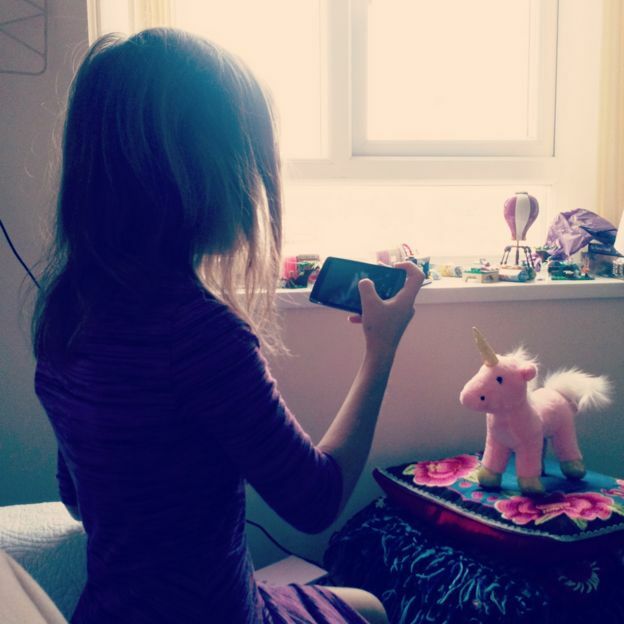 “She still plays with dolls, yet she sometimes talks with an insight beyond her years,” says Tracy.